The central story of MechWarrior 5 revolves around a young mercenary (that's you) being suddenly thrust into the leadership position of a mercenary squad in the midst of the Third Succession Wars (here's a link to some background about what that means if you're interested in getting into the lore). You'll have to make some choices as the campaign (and years) progress, which will affect what happens with your squad during the course of the campaign. Of course, you could do all of this alone with the A.I. controlling the other members of your squad, or you could invite some friends into your game and have them pilot some mechs with you! The title will also feature mod support and Steam Workshop support when it launches late next year, allowing players to customize missions, biomes, and more. 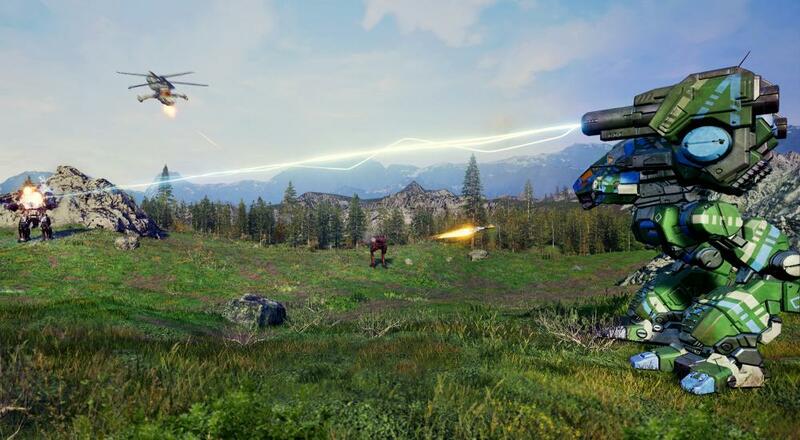 MechWarrior 5: Mercenaries will be out sometime towards the end of 2018 for PC. Other platforms have not been announced or revealed at this time. Page created in 2.1298 seconds.